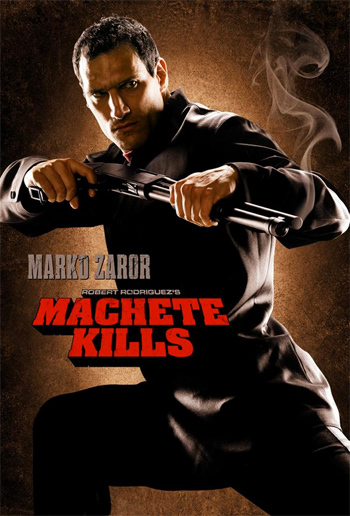 International martial arts action star Marko Zaror joins the cast of Rick Schwartz produced and Robert Rodriguez directed Machete Kills, the sequel to Robert Rodriguez’s cult favorite Machete. Zaror joins Jessica Alba, Sofia Vergara, Lady Gaga, Charlie Sheen, Mel Gibson, and many others in an all-star ensemble. Zaror, dubbed the Bruce Lee of Latin America, is cast very literally as Zaror, henchman to Mel Gibson’s villainous character. Along with the announcement also came a terrific new character poster, following earlier character posters of Lady Gaga and William Sadler featured here. Read the entire article, Marko Zaror Joins Machete Kills; Character Poster Revealed.